A polyoct is a figure made of regular octagons joined edge to edge. 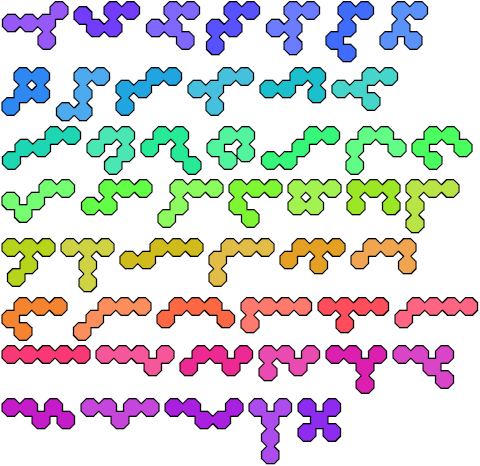 Here I show all the polyocts of order up through 5. Free polyocts may be reflected as well as rotated. One-sided polyocts may be rotated but not reflected.